West Sussex County Council is set to announce plans to expand eight schools to cope with a rise in pupil numbers. 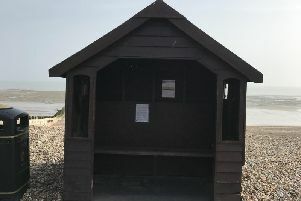 A consultation into the proposals, which include schools in Angmering, Bognor Regis/Felpham, Chichester, Littlehampton and Shoreham, will run from Monday (June 15) until July 17. The problem of rising pupil numbers has been an ongoing issue nationwide but demands for housing coupled with people migrating to the area has seen West Sussex hit hard. The council announced there were 107,820 pupils aged 2-18 years in state sector schools in West Sussex in October 2014 and the number was expected to rise to 119,600 by 2030 - an 11 per cent increase. Jeremy Hunt, cabinet member for education and skills, said: “The southern area of West Sussex is served by a large number of highly-regarded and successful schools. “The county council has been closely monitoring the number of children in these schools to ensure the demand for places can be met. We now have evidence that the number of children in local primary schools in Angmering, Bognor Regis/ Felpham, Chichester, Littlehampton and Shoreham localities is increasing. East Preston Infant and Junior Schools, in Angmering. The infant school will take an extra 30 pupils from September 2016 while the junior school will take another 30 from September 2018. Nyewood Infant and Junior CE (VA) Schools, in Bognor Regis. The infant school has already increased its intake to 90, the junior school will now do the same. Parklands Community Primary School, Chichester. The school will double its intake from 30-60 from September 2016. Rustington Community Primary School, Littlehampton. The school will increase its intake from 60-90 from September 2016. Buckingham Park Primary, Shoreham. The school will increase its intake from 60-90 from September 2016. The Glebe Primary School, Shoreham. The school will increase its intake from 60-90 from September 2016. St Nicolas and St Mary’s CE (VA) Primary School, Shoreham. The school will double its intake from 30-60 from September 2016. Funding for the necessary building work will come from a central government grant known as a ‘basic need’ grant. No work will be carried out until the consultation ends and each school has given its approval. A consultation booklet is being sent electronically to all parents/carers, school governors, teachers and support staff who work at the schools identified for expansion. Copies will also be available at local libraries. Each school will also hold a separate consultation about the design of any new buildings with local residents.